In the menu section we’ve used "navbar-collapse" class to shrink the menus and make it stack one after another for mobile devices. Since we want the menu at the right side of the navbar, we’ve added the class "navbar-right". If you don't want the menu to be pulled up to the right side, you can neglect the class "navbar-right". Also note that it’s a must to includerole="navigation" to make your navbar accessible. Is it possible to fix the navbar to the bottom of the page? Yes, you can. 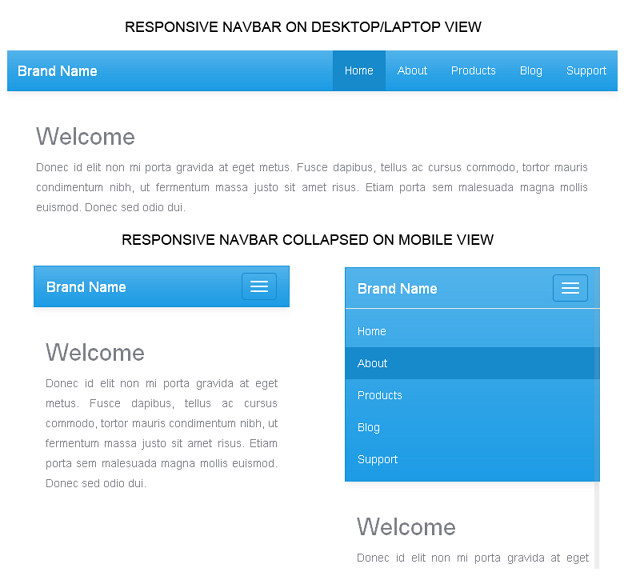 Just add the class"navbar-fixed-bottom" to the <nav> element.